Michael Longo was born in Denver, Colorado. His family travelled extensively during his formative years, exposing him to a variety of cultures and environments at an early age. Living in Europe and Japan as well as in many states in the USA, the artist was fascinated with the beauty and variety in nature. Longo’s widespread travels ultimately landed him in Arizona, where he currently makes his home. Longo worked as an apprentice furniture maker and wood carver; an experience that afforded him an unique understanding of design and old-world craftsmanship. He then enrolled at a university in Arizona, where he studied art and architecture. Longo, who paints in the tradition of the French impressionists of the early 1900s, has shaped his own distinctive approach to achieve the same timeless quality in his work. He is constantly striving to capture the “immediacy of place” and to keep it at the centre of his work. All essential elements seem to intermingle effortlessly to craft a composition of visual harmony, a unity rather than a mere array of single expressions. Light, colour, form and texture are carefully joined to impart a sense of space and atmosphere. 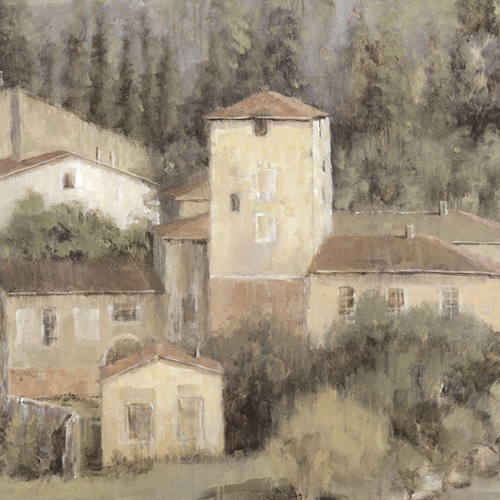 Whether it be a rendering of a charming Tuscan landscape, an enchanting sunrise over Portofino or a leisurely afternoon in the garden, Longo’s interpretations evoke beauty in a way that touches something basic and elemental in our lives. In addition to painting, Longo loves sailing and treasures his time spent cruising on the East Coast. The artist also pursues several other interests such as bicycling, skiing and hiking, where he draws much of his inspiration. Misty harbour scenes and lush landscapes often find their way onto his canvases to complement the serene settings for which he is best known. In Longo’s own words, “I want to continue to explore all the potential that painting has as a medium to express my love for life, and perhaps some day I will be able to do as Monet said and ‘paint as a bird sings’”.